GEARYS Beverly Hills first opened its doors in 1930, as a small neighborhood store where hardware and dinnerware were found only aisles apart. Named after our founder, H.L. Geary, a former President of the Beverly Hills Chamber of Commerce, the little store poised on a then-quiet Beverly Drive had enormous potential. Over the next twenty years, GEARYS Beverly Hills flourished, becoming a well-known fixture in the ever growing city of Beverly Hills, expanding to include an even wider selection and emerging as a world-renowned curator of luxury of unparalleled customer service. In 1953, H.L. 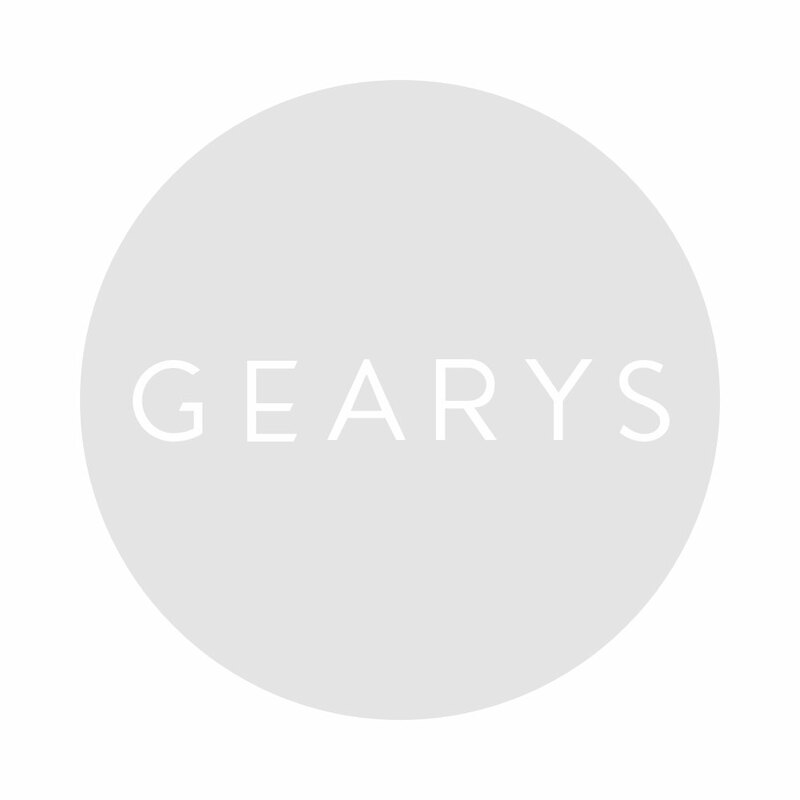 Geary retired, selling GEARYS Beverly Hills to the Meyer family and their transformative vision. Fred Meyer, a prominent local businessman who owned concessions in several of the local department stores, decided to take GEARYS Beverly Hills in a new direction, offering a more focused selection of dinnerware and gifts at the height of the age of entertaining. Revamping the store and expanding the showroom to accommodate an ever-growing assortment, Fred, along with his wife Ruth, brought new life to every corner of GEARYS, even adding innovations like air conditioning. Together, the Meyers solidified GEARYS position as a true landmark in the city of Beverly Hills. The momentum continued into the 1970s as the Meyers looked to take an established Beverly Hills tradition beyond Beverly Drive. Fred and Ruth’s son Bruce became the driving force behind new initiatives, embracing the challenge and expanding GEARYS Beverly Hills through the launch of a hugely successful mail order business. GEARYS signature brand of luxury was now available nationwide. In their flagship store, Bruce partnered with world-class names like Baccarat and Lalique to establish GEARYS Beverly Hills as one of the country’s preeminent destinations for luxury dinnerware and gifts. Having established GEARYS Beverly Hills as an institution of luxury dinnerware and gifts, Fred and Ruth once again looked to their son Bruce to continue GEARYS signature medley of innovation and tradition by redefining the way couples receive gifts. In 1994, GEARYS signature Gift Letter Registry was born. A true original, it was designed to deliver impeccable service and unparalleled convenience by giving couples the flexibility to finalize their gift registry selections after the celebration. Since its introduction, the Gift Letter Registry has inspired many stores to follow suit, but the GEARYS Beverly Hills Gift Letter Registry remains the original and standard by which all other registries are measured. The arrival of fine jewelry and watches in 1997 brought GEARYS into new realms of luxury. In keeping with their long family history of moving the store forward, the Meyer family sold GEARYS Beverly Hills to the Ross family, owners of the well-known Rhode Island-based jeweler Ross-Simons. With Ruth and Fred’s grandson Thomas Blumenthal at the helm as CEO, GEARYS Beverly Hills charted a thriving partnership with Rolex, offering a selection of timepieces that was unmatched in Los Angeles. Poised to bring GEARYS Beverly Hills back into the family, Thomas Blumenthal had reacquired the store in 2003 and building on our successful partnership with Rolex, opened GEARYS Beverly Hills on Rodeo the following year. A boutique store located on the famed Rodeo Drive, this noteworthy watch shop not only featured an unrivaled selection of Rolex watches but marked the arrival of world-renowned watchmaker Patek Philippe. Having inherited the family passion for bringing the GEARYS tradition to the world, Thomas followed up GEARYS Beverly Hills on Rodeo with a much celebrated Rolex boutique at the Westfield Century City Mall in 2009. This project solidified the partnership between GEARYS Beverly Hills and Rolex laying the groundwork for our newly redesigned GEARYS Beverly Hills on Rodeo, which opened in 2012. The advent of a newly defined Gift Registry came with the arrival of a brand new GEARYS Beverly Hills showroom, expertly designed to showcase our world-class selection of luxury dinnerware and gifts. Since our doors first opened in 1930, GEARYS Beverly Hills has set the standard for uncompromising service and unrivaled selection of luxury gifts. A landmark in Beverly Hills and beyond, GEARYS Beverly Hills resonates with the traditions that define Beverly Hills. Our reputation is recognized every day via our clientele, which includes some of Beverly Hills most prominent residents, European royalty, luxury consumers and Hollywood elite who trust us to curate the very best of luxury. For nearly a century, GEARYS has flourished because of its incredible ability to expertly define luxury according to the times. Having made its mark on Beverly Drive, GEARYS Beverly Hills is now establishing itself as an online source of 21st century luxury living. Innovative and yet firmly rooted in our history, Fred and Ruth’s singular passion of bringing the GEARYS Beverly Hills tradition to the world continues to be the driving force that constantly moves us forward, challenging us to continually deliver the defining luxury and extraordinary service that has made us a Beverly Hills tradition since 1930.